Hibiscus Plc is a long-established, family-run, commercial printing company that is owned and managed by the Killerby family. 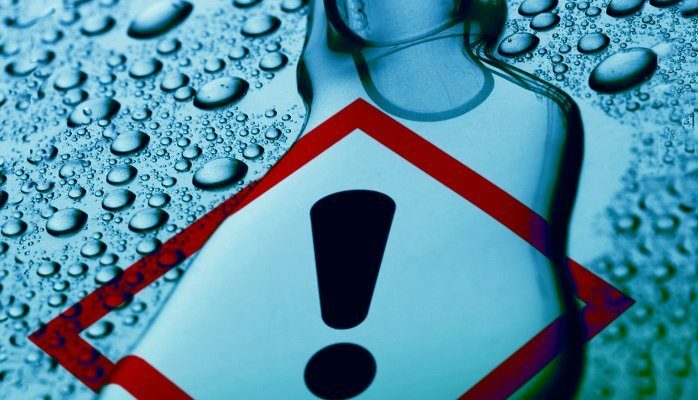 We are one of the UK’s leading manufacturers of hazard warning labels and software, and for over 35 years we have specialised in providing high-quality labelling solutions for the chemical and hazardous goods industries. We provide a genuine ‘one-stop shop’ service, supplying a wide range of warning labels and placards, hazchem vehicle marking, and transport documentation. We also produce software for the classification and labelling of chemicals and the production and management of Safety Data Sheets. From our base in Leeds, we are able to supply businesses across the UK, Europe and beyond with warning labels, export documentation and software. Our clients vary from some of the biggest names in the chemical industry to smaller, niche companies and everyone in between and we believe that the calibre of our customers is an indication of our excellent reputation. Hibiscus has developed strong relationships with businesses across the globe and our existing customers include: Ineos, Brenntag, Univar, Dow Corning, Johnson Matthey, Akzo Nobel, Syngenta, Yara, Lucite, PPG Industries and FMC. Hibiscus Plc was founded 35 years ago, in the back bedroom of Brian and Dorothy Killerby’s home. With a background in chemical engineering, Brian was the driving force behind the business, having spent time at Rowntree Mackintosh where he was a project engineer involved in the manufacture of After Eight mints and Black Magic chocolates. Hibiscus was launched with the support of one of Margaret Thatcher’s new business loans and is now the only company in the local area still in existence that received this financial help. We began business with just one small handmade label rewinding machine that Brian made himself and the first year’s profit was a hard-earned £74! 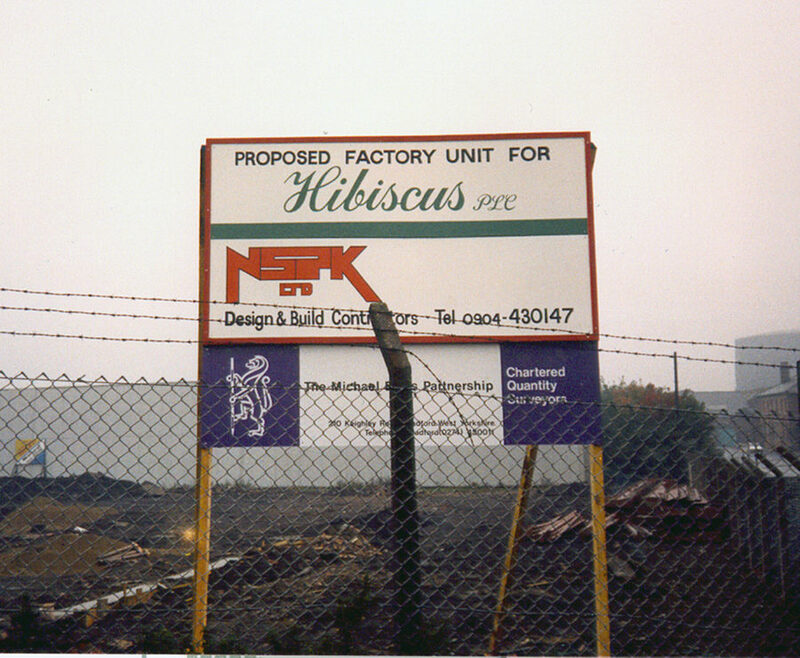 In 1986 we moved into our purpose-built factory on the outskirts of Leeds and in 2004 the factory was tripled in size. Thirty-five years later, under the directorship of James Killerby (Brian and Dorothy’s son), we’ve grown into one of the UK’s largest manufacturers of chemical and hazardous goods labels. When it comes to labels for chemicals or any other hazardous goods, Hibiscus offers you a one-stop shop for everything you need. Our on-site studio and printing facility means there’s no need for us to outsource your artwork or printing plates – everything will be produced to our own high standards. Our in-house team of software developers and designers work closely with our sales team to make sure that everything we produce is top quality, fit for purpose and designed to work exactly as you need it to. Our strong working relationships mean that we can grow to really understand you, your business and your products so that you can be assured that everything you receive from us will be perfect for the needs of your business. We often visit our customers premises to get a better understanding of their processes so that we can help them find the best and safest labels for their unique requirements. Dangerous goods regulations can be a minefield and we pride ourselves on our xpertise in the legislation of chemical labelling as well as the performance of our products in varying environments across the world. Our unbeatable industry knowledge and experience enables us to ensure that our products are always in full compliance with the latest legislation. themselves – but also the experience you have of working with us is of the highest quality.In our industry, every business is unique and the labels they need can serve very different purposes. We understand your business and we understand labels – put these together and you can relax knowing that the bespoke solution we provide you with is the right one. Hibiscus Plc was shortlisted for two categories in this year’s Chemical Northwest Awards: Products & Services Supplier to the Chemical Industry and Manufacturing Business of the Year. We pride ourselves on our unbeatable industry knowledge and experience, our years of expertise in the legislation of chemical labelling and the performance of our products in varying environments across the world. Our stringent quality tests ensure that our labels are some of the most outstanding in the chemical industry; suitable for very demanding labelling operations all around the globe. We provide labels for industrial heating and cooling processes which require labels with adhesive that can withstand extreme variations in temperature and humidity. Hibiscus Plc has been called on to label goods that are able to cope with the huge temperature shift of being shipped from winter in Wigan, where it’s -2˚C, to the blistering deserts of Qatar, where it can reach 45˚C! We take great pains to ensure that all of our inks are tested to Blue Wool Scale 7. The Blue Wool Scale is a measuring system that has been adopted by the printing industry to measure the lightfastness and permanence of ink colourants. Labels passing BS:5609 must have light fastness values over Blue Wool 6. All legislation colour inks at Hibiscus are Blue Wool scale 7, or above. They are also treated with UV light to give them good adhesion, rub-resistance, high colour strength and resistance to weathering. We also perform constant testing on different types of adhesives – our labels will not peel off chemical drums that have been floating in the North Sea for 6 months and they can withstand whatever their life cycle demands. Hibiscus Plc is the only label printer in the UK that actually performs its own BS:5609 Section 3 tests and when we print labels using our own tested substrates and inks, we can provide fully compliant BS:5609 labels. 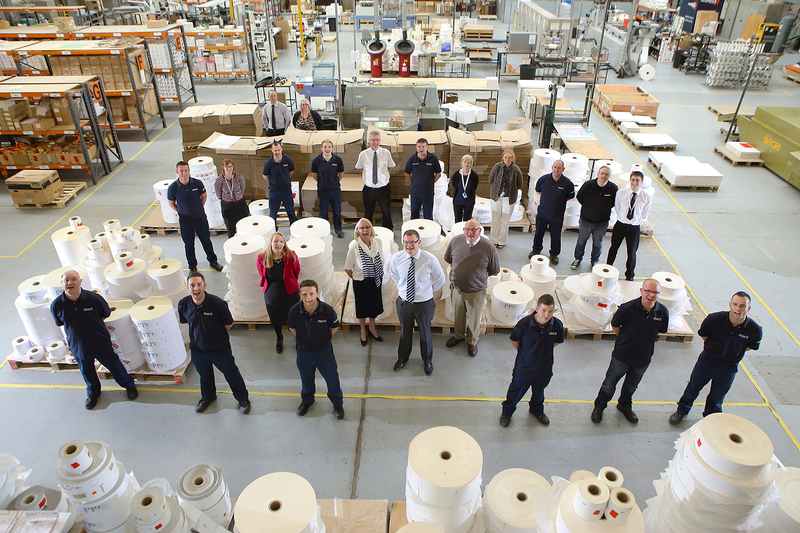 This includes everyone involved in the print process such as printers, support and despatch staff. Also included in this is our facilities manager and print supervisors who manage the department. This covers account managers and sales order processing so is likely to include your day-to-day Hibiscus contact. Each area of the country has its own dedicated coordinator. 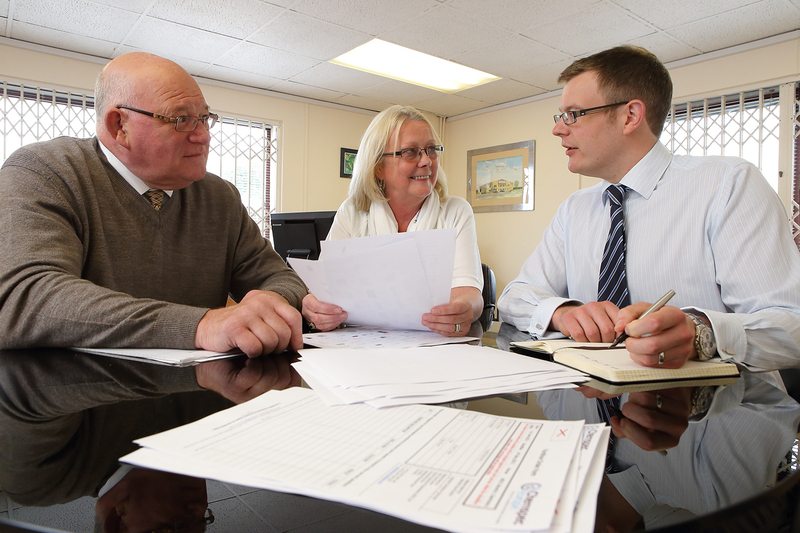 Our business development team works closely with both our sales coordinators and our external sales force. These are the people you are likely to meet out in the field who will visit your premises and help our relationship develop. This includes the programmers who develop our software packages and our engineers who keep our operations running smoothly. This includes all our artwork and plate production staff who design and produce your labels to match your brand identity. There are also the people who keep Hibiscus running behind the scenes including our accounts team and our board of directors who are responsible for steering the business in the right direction.